Smart, strong and secure. Our refurbished Intermec PM4i EasyCoder industrial barcode printer meets the need of mission-critical applications. The Intermec PM4i has multiple interfaces, secure wireless connectivity (WPA2), CCX and WiFi certification, and support for IPv6 ensure easy integration and long-term scalability. Contact us today about buying, servicing, renting or selling Intermec PM4i gear! 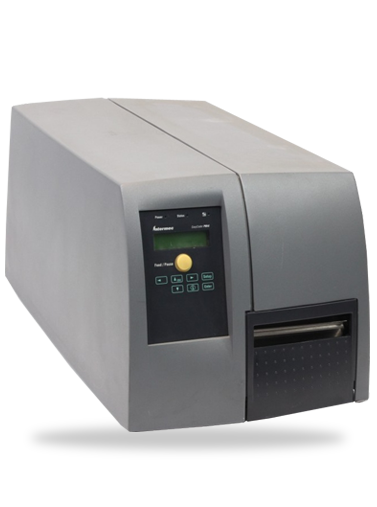 A member of the smartest bar code printer family on the market, the refurbished Intermec PM4i EasyCoder is flexible and programmable, enabling customers to optimize their printing operations, streamline deployment, and achieve quick return on investment. Built to meet the needs of mission-critical applications, the rugged Intermec PM4i delivers advanced, secure connectivity and the latest network protocols, ensuring peace-of-mind today and a reliable, scalable solution for the long haul. The popular Intermec PM4i Mid-Range Printer is part of Intermec’s complete line of smart, strong and secure industrial printers. Contact us today about buying, servicing, renting or selling Intermec PM4i gear!